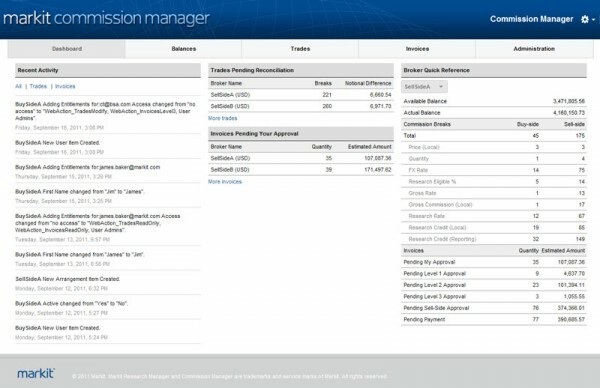 Commission Manager is a trade reconciliation tool enabling brokers and funds in the worlds largest financial institutions to settle their commission differences. The project involved a standardized platform to aggregate and manage trade information, commission balances and vendor invoices and payments. Markit Commission Manager enables users to reconcile their trading commissions with multiple counterparties and then instruct those counterparties to pay for research and brokerage services – all from a single platform. This efficient workflow eases the administrative burden of managing multiple commission arrangements. The functionality is centered around trade reconciliation, raising of invoices and managing balance differences. In addition, it was necessary to provide systems integration with all broker-dealers that were involved in the project. Markit Commission Manager is the latest addition to our Markit Research Manager range of services. Our objective is to enable investment firms to manage their entire research workflow – including sourcing research, tracking corporate access, voting on brokers and managing research commissions – from one single platform to bring greater efficiency and internal visibility to the whole process. Markit Commission Manager is the final piece in the jigsaw. 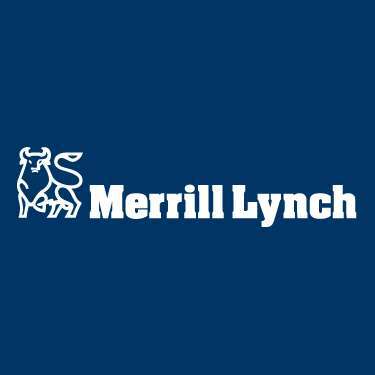 We have partnered closely with BofA Merrill Lynch, Barclays Capital, Citi, Credit Suisse, Deutsche Bank, Goldman Sachs, J.P. Morgan and Morgan Stanley to ensure the platform meets the needs of the industry. This platform is good news for buy-side and sell-side alike. 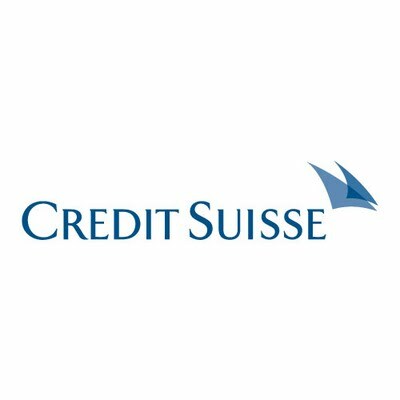 It will allow the buy-side to use a standardised set of tools to manage their commission credits at multiple broker-dealers. We are very pleased to be part of this important industry initiative. This platform is in a strong position to become the industry standard. 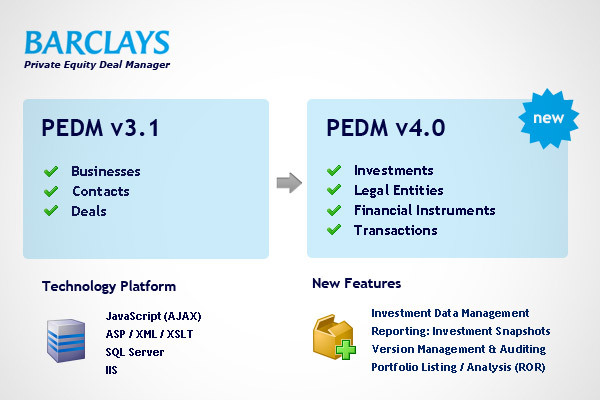 PEDM is a commercial application for internal-use of Barclays Private Equity. This AJAX-based web application is used daily to track information about ongoing and historical deals. PEDM version 4.0 release included functional enhancements to support entering post-deal lifecycle investment data including ownership breakdown by legal entity, financial instrument detail and historical transactions. This release also included some advanced features such as reporting of investment snapshots, portfolio analysis (rate of return calculations) and auditing and version snapshots with roll-back capabilities. The new ‘Investments’ section developed for Barclays Private Equity Deal manager v 4.0. 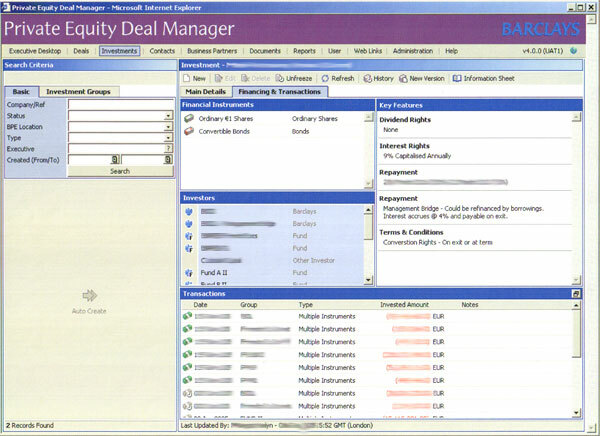 The new 4.0 version of Private Equity Deal Manager includes capabilities for adding post-deal Investment information and collating this information for managing a portfolio of Private Equity assets. 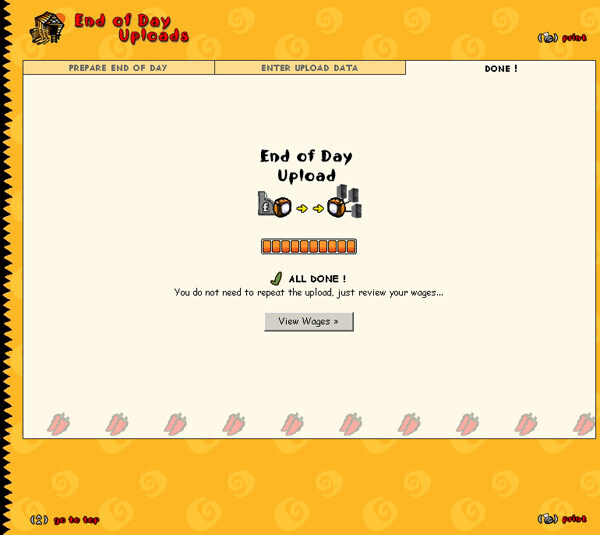 A daily upload process carried out by each of Nandos’ stores that copies daily Point-of-Sale information into a central database repository for analysis. Data parsing is performed on SQL server using stored procedures for faster execution.